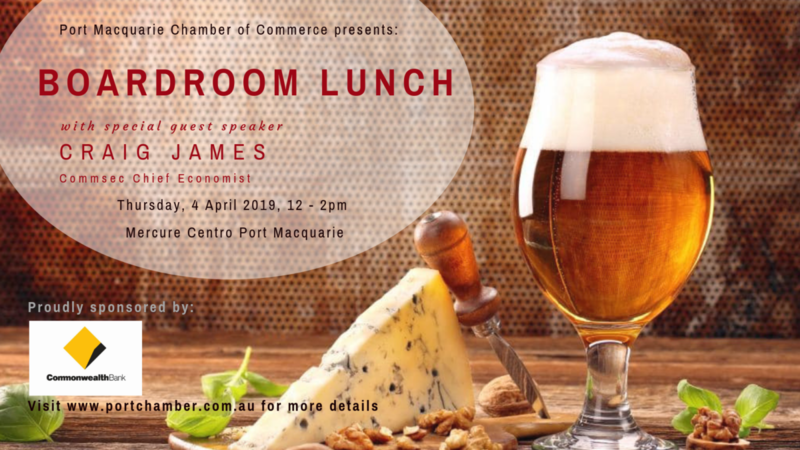 Join us for an informative lunch with special guest speaker, Craig James, Chief Economist at CommSec. Directly following on from the 2019 Federal Budget announcement, Craig will discuss the impact on the local economy and the consequences for local business. This is a unique opportunity to gain insights and tips for the coming financial year. Ticket includes a complimentary drink on arrival and a two course lunch in the lovely Rooftop Room at the Mercure Centro Port Macquarie. This event promises to be enlightening and informative.